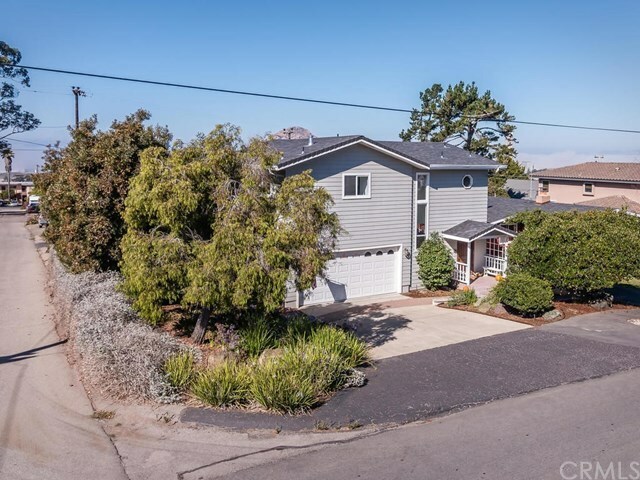 Super sized Morro Rock views from this Morro Heights 3 bedroom 3 bath 2519 square foot home has been completely remodeled from top to bottom. From many windows one can enjoy Rock and Ocean views. This fabulous home features new tile, new vinyl and wood flooring throughout,The kitchen has been completely remodeled with new cabinets, counter tops and appliances. All three bathrooms have also been completely remodeled, some windows have been replaced with new dual pane windows, a new composition roof was recently installed. There is an attached two car garage with a laundry area and room for a work bench. The yard is fenced and boasts nice, private patios and a rear deck. There is room for a vegetable garden, fruit trees or lawn in the back yard as well as extra parking for a boat, RV or trailer. This low maintenance yard is nicely landscaped with mature trees and shrubs which create privacy and shade for the outside spaces. Located in a highly desirable Morro Heights neighborhood that is quiet and close to hiking trails, the golf course, downtown, the Embarcadero, shopping and the Bay Theater. IT doesn't get much better. Information not verified.